Transformer Components & Parts | SPX Transformer Solutions, Inc.
We maintain an extensive inventory of a wide variety of complete parts kits and raw materials such as arc-resistant contact tips, phenolic insulating products and oil breaker grid plate materials to ensure just-in-time deliveries from our Dallas, Texas, facility while constantly building on our record of superior customer service. With our experienced workforce, wide range of machinery, integrated manufacturing systems and Continuous Improvement philosophy, we strive to lead the industry with the shortest lead times and highest quality products. In addition to parts kits, we manufacture a line of Transformer Health Products® designed to increase transformer reliability and life while lowering the cost of maintenance. The reverse engineering process includes a 3-D precision assessment of component geometry, complete disassembly and modeling of the component in Pro-E and thorough analysis of materials used by the original equipment manufacturer. Other related services provided include redesign and material upgrades to current technology for enhanced performance. Utilizing the latest contact design theory, SPX Transformer Solutions can successfully redesign contacts for a variety of reasons: increased current rating, extended service life, facilitation of installation and alignment. Our nationally recognized ELR® Series contact design increases the maximum current rating of contacts, eliminating heating and coking (carbon build-up). Additionally, we perform LTC failure analysis reporting, LTC maintenance training and complete LTC conversions & overhauls. Our customer base is always looking for opportunities to improve product reliability and reduce maintenance costs. Our position as a service partner with the same goals and objectives gives us an opportunity to grow and continually expand the areas where we can offer new substation product and service solutions, matching our capabilities with our customer’s needs to achieve higher levels of value-added processes. Load Tap Changer Kits, Circuit Breaker Kits, Transformer Health Products® and Other Replacement Parts in easy-to-navigate online catalog format. We are committed to becoming the industry's preferred supplier of replacement parts and service for all load tap changers. Family of products designed to increase reliability and life of your transformers. Training engineers and field technicians on electrical power equipment. Utilizing new materials and technologies to fuel the development of reworked and new products as solutions to the electric industry’s needs. 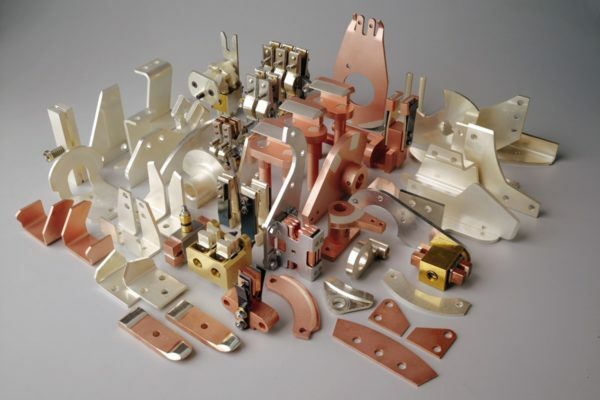 We maintain an extensive inventory of oil circuit breaker parts, kits and raw materials.